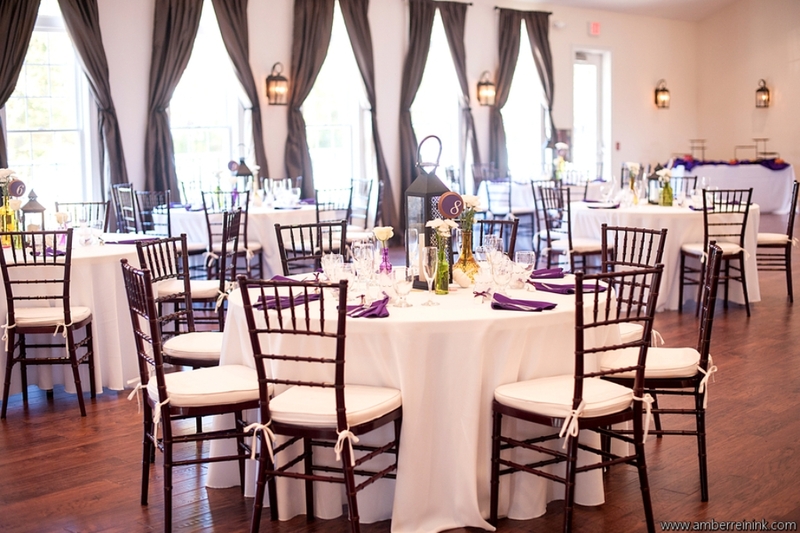 Nestled in the heart of historic Spotsylvania County, Stevenson Ridge offers three unique event venues. Whether you are hosting a wedding, private party, or corporate function, let our professional and experienced staff assist you in planning the perfect event! Contact us to schedule a tour or request a quote. This premier venue is the perfect blend of old and new. Your guests will enter the banquet hall through 10” antique doors once owned by Ulysses S. Grant into a 19th-century chapel with an exposed post-and-beam frame and 25’ cathedral ceiling. The rustic charm is augmented by wrought-iron chandeliers, stagecoach lantern sconces, hardwood flooring, and a bar made of salvaged antique church pews. With nearly 4500 square-feet of event space, plus gas fireplaces and a sitting deck overlooking the pond, you and your guests will be entertained throughout the evening as you dine on the outstanding cuisine prepared by our talented Executive Chef. For weddings, a complimentary bridal dressing suite is available to those hosting their ceremonies onsite. 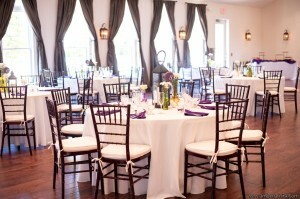 Accommodates up to 216 guests. An 1812 plantation home originating from Como, North Carolina, the Riddick House boasts 6000 square-feet of guest rooms and multiple event spaces, situated between woodlands and fishing pond. The furnished upper level is an ideal setting for baby showers, corporate retreats, and intimate formal dinners. The lower level is a charming banquet room perfect for rehearsal dinners, luncheons, and holiday celebrations. Each level accommodates up to 50 guests—or rent both floors to accommodate up to 75. Entertain your guests in style with the ornate, antique décor, state-of-the-art kitchen, and player piano. Retreat upstairs to one of the guest rooms for a truly luxurious experience. 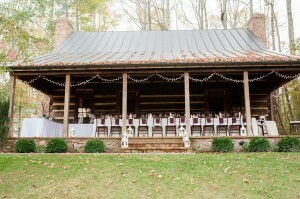 The 1830’s chink-style Log Home is ideal for an informal gathering for 20 guests or less. Available for events ONLY during the warmer months (April-October), the large covered front porch overlooking the pond serves as a cozy event space. 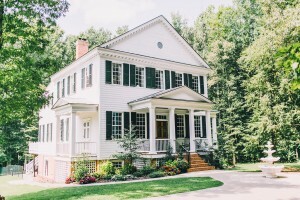 Surrounded by woods, this venue offers a rustic and romantic ambiance befitting an intimate elopement celebration or BBQ cookout.